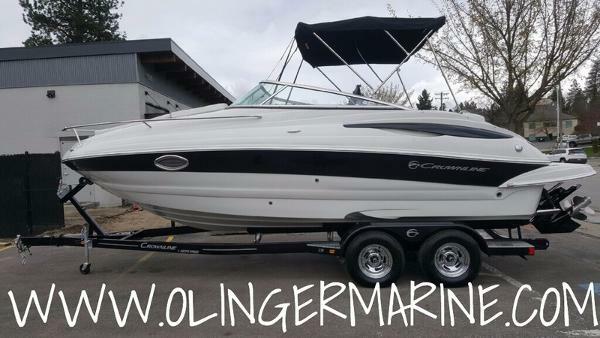 2016 Crownline 236 SC 2016 Crownline 236 SC 2016 Crownline 236 Sport Cuddy, 350 MAP MPI B3 Mercruiser, Optional Equipment Includes: Onyx Gelcoat Accent Color, Lower Deck Band with Color Matched Deck Vents, Two Tone Swim Platform, Highlander Carpet, Floor Mounted Table, Cockpit Cover, Full Canvas Package, LED Lighting package Cockpit, Trim Tabs with Indicators, Windshield Wiper, Hand Held Shower, Porta-Potty with Pump-Out, 5-Year Engine Warranty.....Essex, MD Location FACTORY OPTIONS ON THIS BOATGelcoat Accent Color: OnyxLower Deck Band with Color Matched Deck VentsTwo-Tone Swim PlatformHighlander CarpetFloor Mounted TableCockpit CoverFull Canvas PackageLED Lighting Package CockpitTrim Tabs with IndicatorsWindshield WiperHandheld ShowerPorta-Potty with Pump-out350 MAG MPI B3 Mercruiser, 300HP5-Year Engine Warranty The Crownline 236 SC isn’t like any other cuddy boat out there. This Crownline has the features that make it the perfect sporty boat for daytime fun while delivering the comfort you need to relax on the water overnight. 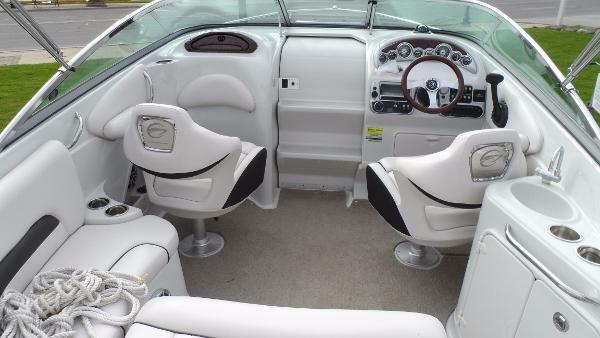 With an extended L shape cockpit, the Crownline Sport Cuddy 236 SC offers impressive features including flip up bucket seats and a stern lounge seat that effortlessly converts into a sunbed to make every trip on the water a great one. When you factor in the cabin area boasting a spacious galley and head compartment, it is easy to see why the Crownline 236 SC is a favorite. 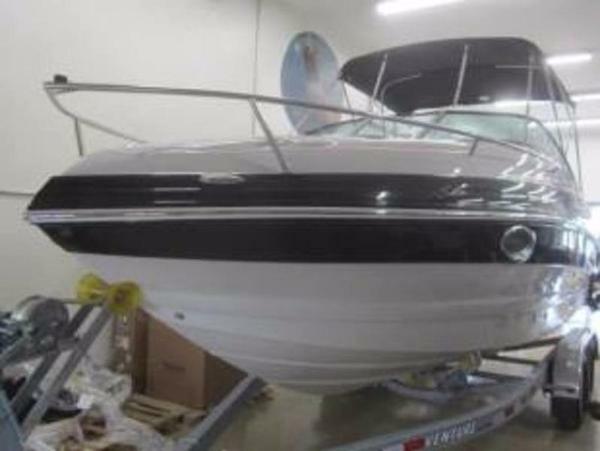 2014 Crownline 236 SC The Crownline 236 SC isn’t like any other cuddy boat out there. 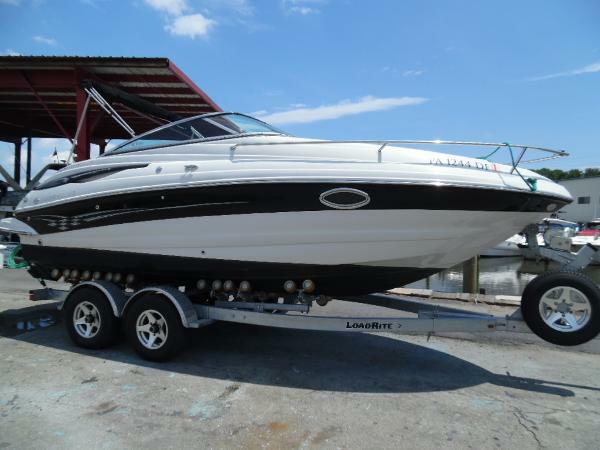 She has the features that make her the perfect sporty boat for daytime fun while delivering the comfort you need to relax on the water overnight. '50/50' has barely left the trailer. With around 60 hours on the motor she is itching to be out on the water this summer. Don't miss your chance.As Low As $485* A Month! *rate depends on down payment and credit scoreWith an extended L shape cockpit, she offers impressive features including flip up bucket seats and a stern lounge seat that effortlessly converts into a sunbed to make every trip on the water a great one. When you factor in the cabin area boasting a spacious galley and head compartment, it is easy to see why the Crownline 236 SC is a favorite.